• bCasino Review - Clearly Catering To UK Customers? bCasino is based on what it calls the ‘three B’s’, namely: bProfessional, bInnovative and bPassionate. Claiming to be the ‘only UK casino that’s truly created with players in mind’, bCasino wants to ‘allow you to b’! Established in 2018, this online casino accepts residents from a limited range of countries and has a special focus on UK-based players. 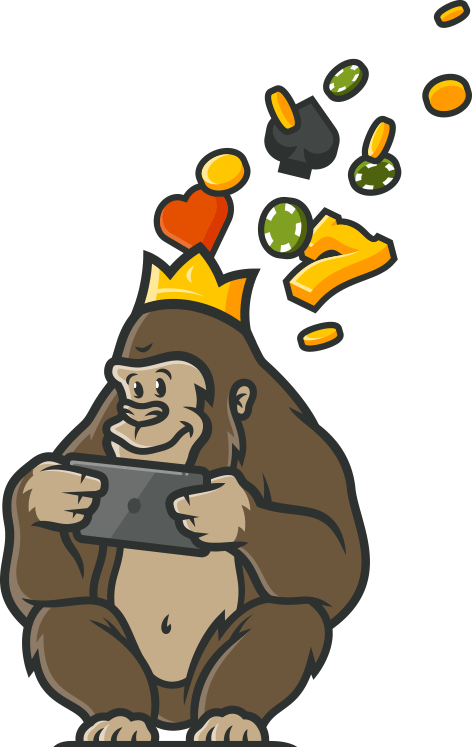 There is a bumper bonus on offer to new British players, but the Casino Gorilla has examined it closely to make sure that it delivers on what it promises. 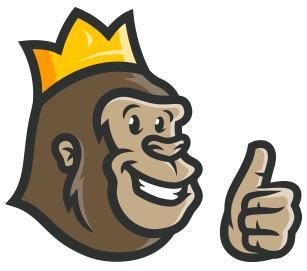 Let’s find out what the big fellah had to say about this new British online casino and whether he will bRecommending it or not! The big number of £1,200 is what bCasino will hope to attract new UK players to sign up for. This bonus is split over the first three deposits of new players, and matched by 100%, 50% and 125% for each of those payments. Make sure that your deposit is at least £20 and that you remember to enter the bonus code if you want to claim these matched bonuses. The wagering requirement of 30 times deposit plus bonus is not all that friendly and takes the shine off this offer a little bit. There is a cap on how much you can win from the bonus, but as this is set at a reasonably generous £5,000 the Casino Gorilla doesn’t have too much of a problem with this. As you can see, free spins don’t form a part of the welcome offer from bCasino, although previous versions of this offer did include free spins on the Book of Dead game. You may receive free spins as part of a future promotion, and according to the terms and conditions any winnings from these must be wagered 100 times before they can be withdrawn, which seems incredibly high when compared to most online casinos. Hopefully this is an area that bCasino will look at changing in the future. You are going to need to use a bonus code if you wish to take advantage of the welcome offer from bCasino. Make sure to enter the bonus code bNEW on each of your first, second and third deposits if you want to claim that welcome bonus. If you don’t enter the code it will be assumed (bAssumed, if you prefer!) that you do not want the bonus and so it will not be added to your account. If you forget the code, get onto customer support before you spend any of the deposit money and they may be nice enough to add on the bonus for you. You can choose from eight different tables at bCasino if you are a fan of live dealer action. These games allow you to watch a live stream as a croupier spins the wheel or deals the card, rather than relying on a random number generating software programme. So not a massive selection available here then, but you can select from games like blackjack, roulette, 3 card poker, Texas hold ‘em and Dream Catcher. You don’t need to worry about downloading an app to be able to enjoy playing at bCasino from your smartphone or tablet. Just go to the site as you would from your desktop computer and start playing your favourite games. The site is adapted to function smoothly on a small-screen device and players can enjoy playing when they are on the move. bCasino is licensed in the United Kingdom, and this is a regulator which always makes sure to look after players at casinos which hold its license. What this means in practise is that players at bCasino will be able to enjoy real money casino gaming safe in the knowledge that both their money and their personal information is perfectly safe. This casino uses the latest encrypted software to ensure that all details are securely stored. Games on the site are regularly checked for fairness, but as they come from major developers anyway this is not something you would need to have any concerns over. There are two ways to get in touch with the good people at bCasino, and that is either via email or live chat. Live chat is the easiest way to resolve issues that need a quick solution, and the professional support staff will be happy and willing to assist. If you need to send verification documents or aren’t in a hurry to receive a response, then email will suit your needs. The live chat support team are standing by 24/7 and are ready to help any day or night of the year. Rather than a list of restricted countries, bCasino has got a limited number of countries from which it can accept players. These countries are: the United Kingdom, Canada, Finland, Gibraltar, Guernsey, Isle of Man, Jersey, Norway and Sweden. If you do not live in one of these locations then you will not be allowed to sign up with bCasino and will need to find a casino gaming alternative. bCasino is adorned with various British landmarks as part of its front-page design, clearly indicating its interest in attracting a UK client base. Those potential customers will surely be interested in that tempting £1,200 welcome bonus that is on offer, even though the wagering requirements to release it are somewhat less than generous. The stock of games is quite limited, and that means that experienced casino players will likely be disappointed with the variety of options here. However, this site is nicely designed and hopefully will expand its offerings over time.